Suitable for heavy flow. 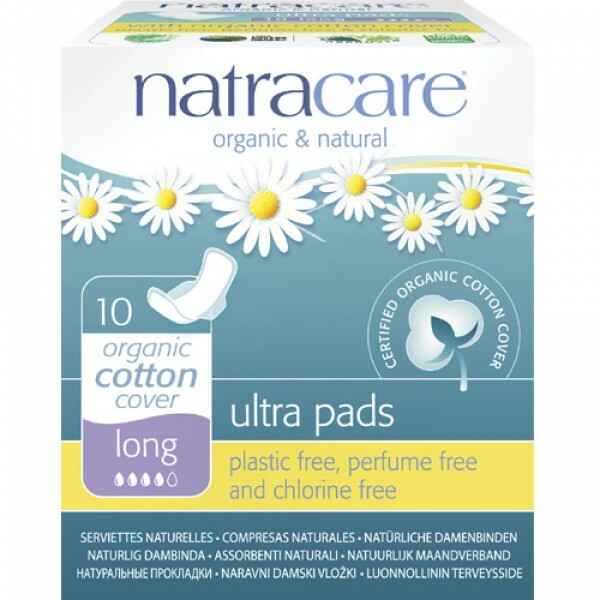 Extra long, super thin pads with wings individually wrapped in a recycled paper pouch so they can be discreetly kept in your handbag. With organic cotton cover sheet and an extra absorbent core for security and confidence on heavier days but still ultra thin, compact and discreet. 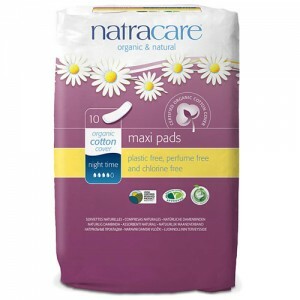 Natural materials, extra soft cover, perfume free, plastic free, non-chlorine bleached and biodegradable. Conventional sanitary pads contain a blend of chlorine-bleached pulp, polypropylene, polyacrylates and plastic. 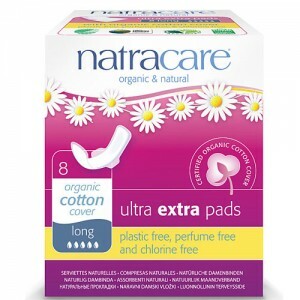 Many gynaecologists advise women to use natracare pads to avoid chlorine bleached materials, synthetics, latex and super absorbents made from petrochemicals. 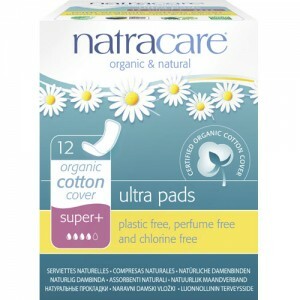 Natracare chemical free pads are made from natural plant cellulose, non chlorine bleached and free from rayon, plastics and other synthetics.